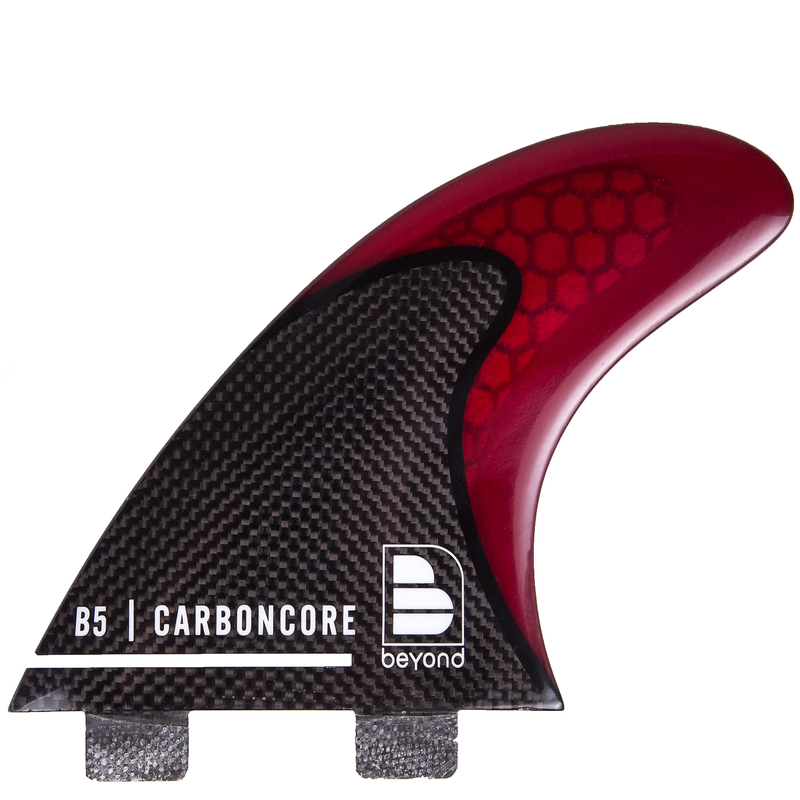 Beyond® B3 Carboncore Thruster Set with a precision engineered carbon fibre core to fit FCS plugs & boxes. A more upright, less swept fin with a relatively wide base design for small/medium waves, enabling a looser style or where quicker release is required. Engineered to exacting standards for tuneable flex surfboards to provide a stiff based fin for drive and transition through a wide range of manoeuvres. Also in B5 and B7 designs and all with this FCS and Futures bases, and in Ultraglass and Flexcore construction. 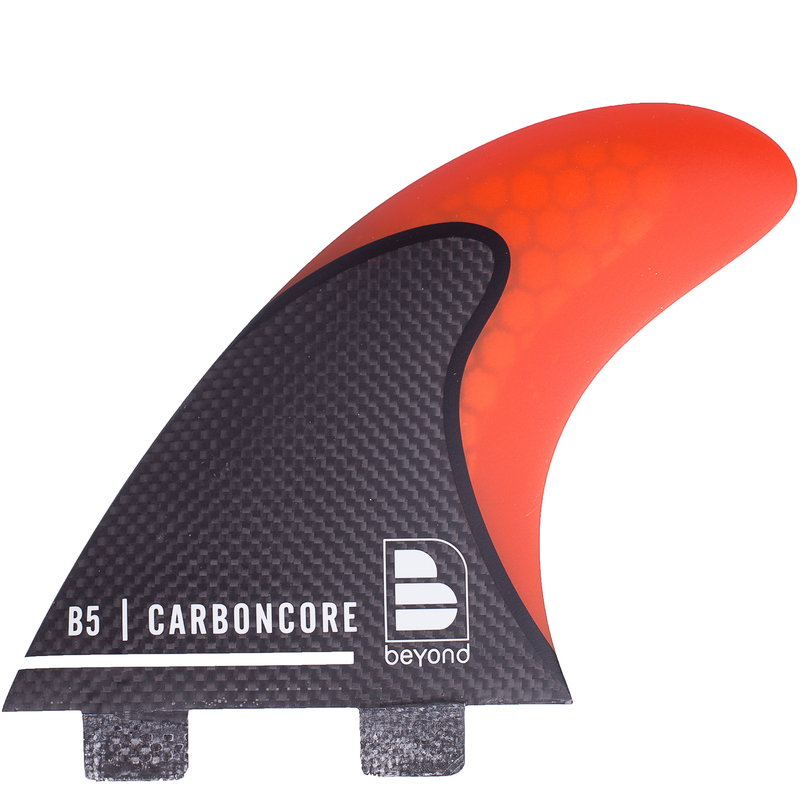 Every inch of this fin is designed for drive and power – totally fit for purpose and ready. Note the uncovered purity and quality. Exceptional. Price per set of 3…. 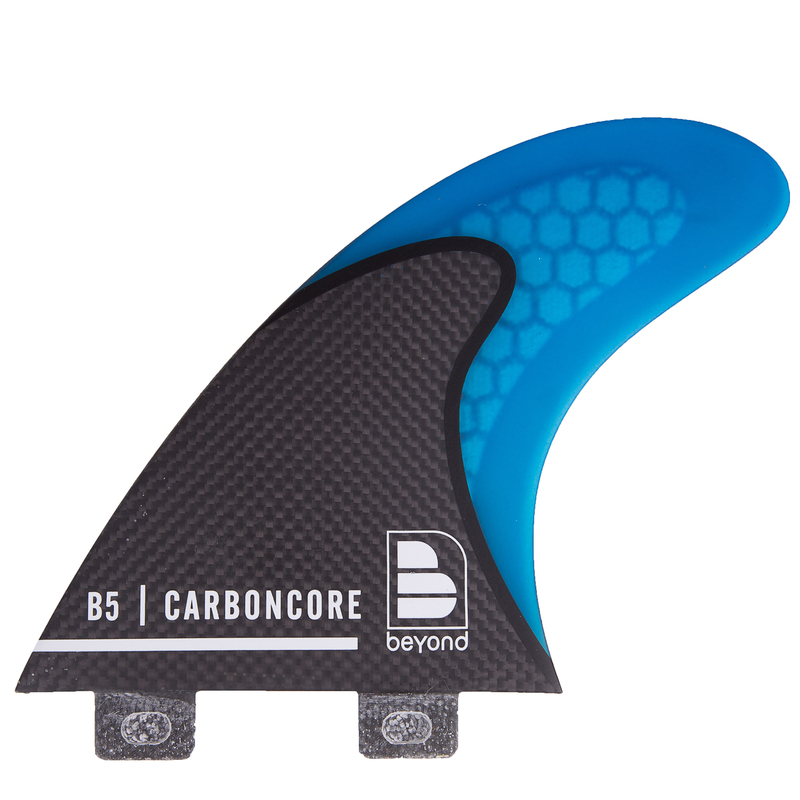 Beyond B3 Carboncore Thruster Set with a precision engineered carbon fibre core to fit FCS plugs & boxes. A more upright, less swept fin with a relatively wide base design for small/medium waves, enabling a looser style or where quicker release is required. 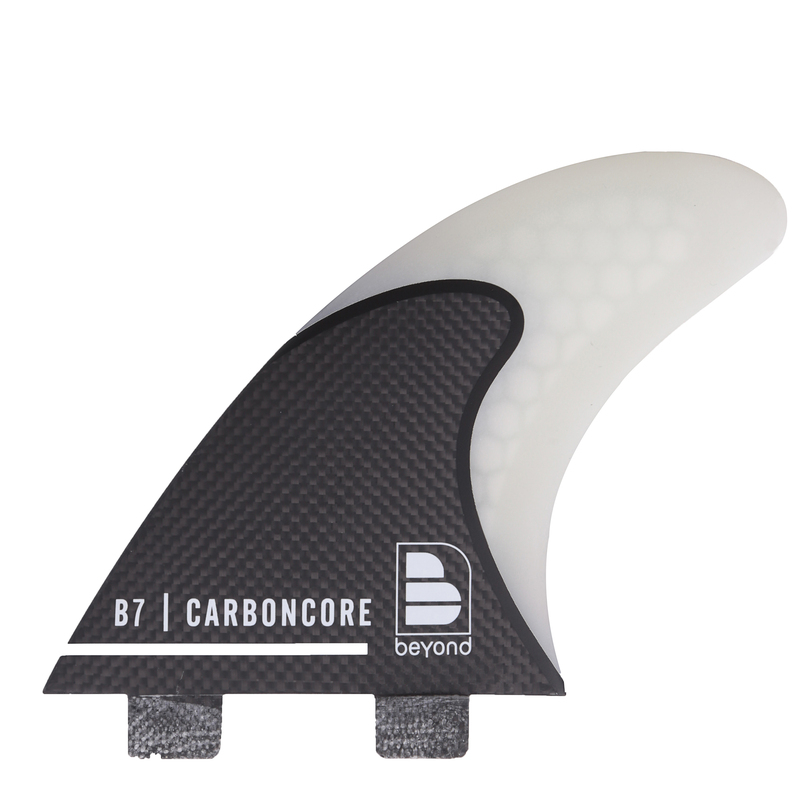 Designed by us, and engineered to exacting standards for tuneable flex surfboards to provide a stiff based fin for drive and transition through a wide range of manoeuvres. Every inch of this fin is designed for drive and power – totally fit for purpose and ready. (Note the purity and quality – no decals needed to hide blemishes and imperfections from cheap manufacturing).